The Strawberry, Spinach & Feta Salad is much loved for so many reasons. The flavour combination, the easy preparation, the flexibility with ingredients & variety of foods to partner. It really is a game-changer. 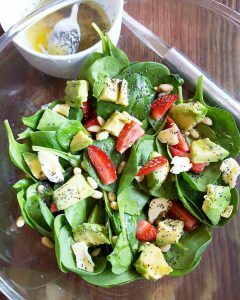 Using fresh seasonal strawberries, baby spinach, olive oil & avocado as the base, it covers the grounds for a nutrient powerhouse too. 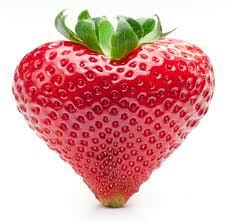 Combining Vitamin C -rich Strawberries with Baby Spinach assist the absorption of no-haem iron. Combining oils & avocado with the Stawberries and Spinach assists absorption of Vitamins D, E & A. Alongside a naturally protein -rich, satisfying & colourful meal. Serve on its own or pair with chicken or lamb, we’re sure that you’ll love this too. Place all salad ingredients together in a bowl and combine. Place all of the dressing ingredients in a small separate bowl and whisk until combined. Add the desired amount of dressing to your salad and serve immediately.